Please consult your physician before following my advice. Your doctor is your coach; do your own research, but follow up with your physician and run your plan by him/her. If you choose to follow my advice without your physician, then you are self-prescribing. You fully have the right to do so, but you may need your doctor to monitor your progress to ensure that all of your blood levels are normal and your organs are functioning properly. Although I am a Certified Nutritionist, I cannot give you medical advice. I can only give you the benefit of my knowledge, experience, prayer, and encouragement. Any lifestyle change could possibly cause detoxification symptoms, so the risk belongs to you. The decision is yours alone. Use your doctor and me as your coaches, but make your own choices. © 2019, My Body, His Temple. All rights reserved. Kenny Loy is a Certified Nutritionist and author. His passion is teaching others how to get healthy. He has been helping people with nutrition and health since 1999. We are a couple in love with each other as well as living a healthy life. 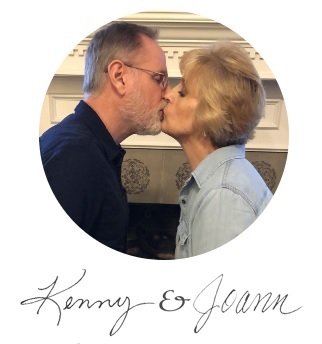 Kenny is a nutritionist and Joann is a chef. We want to help you get healthy without breaking the bank!